Great piccy mate congrats on getting married i did it a couple of months ago myself. Great looking family you got there mate plenty helpers. Are they all as mad on mud as you ? 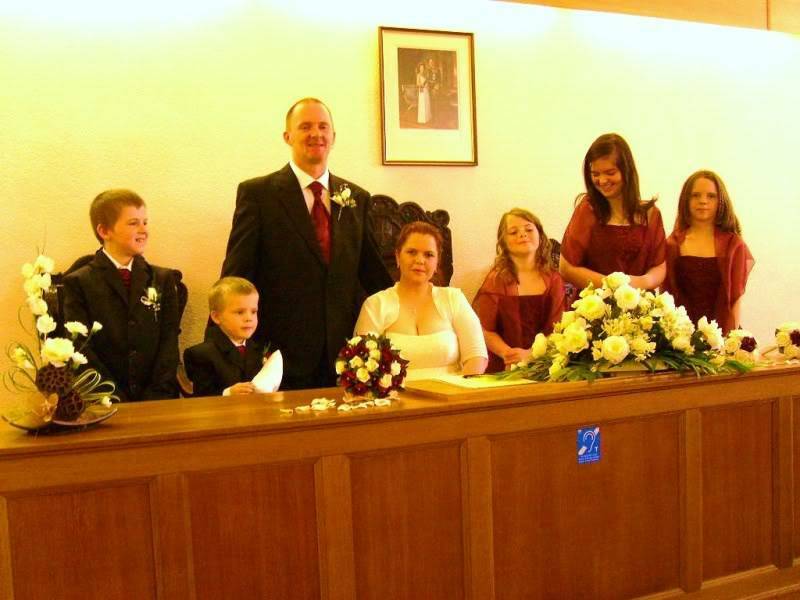 Admin wrote: Great piccy mate congrats on getting married i did it a couple of months ago myself. thats a cracking photo congratulations. dickycaz wrote: thats a cracking photo congratulations. I wanted to use to rangie as the wedding car but the mrs couldnt get in with the dress so we used it as the bridesmaids car,but no one took any pictures of it..
Dunno wot the worlds comming to mate when people take pictures of the bride and brides maids in there dresses but not my rangie.. Folk are so inconsiderate mate that would be better than any limo dont tell ur wife that people should have been taking pickys of the rangerover instead of them he he should of got one with you and th family standing in front of it mate. Admin wrote: Folk are so inconsiderate mate that would be better than any limo dont tell ur wife that people should have been taking pickys of the rangerover instead of them he he should of got one with you and th family standing in front of it mate.